My Home and Garden: Well, I'll be darned...look what we bought!! Another 8x12' greenhouse!!!! Allan, the 'usedvictoria' guru, found one for $400.00 with an exhaust fan and thermostat...everything but a heater. 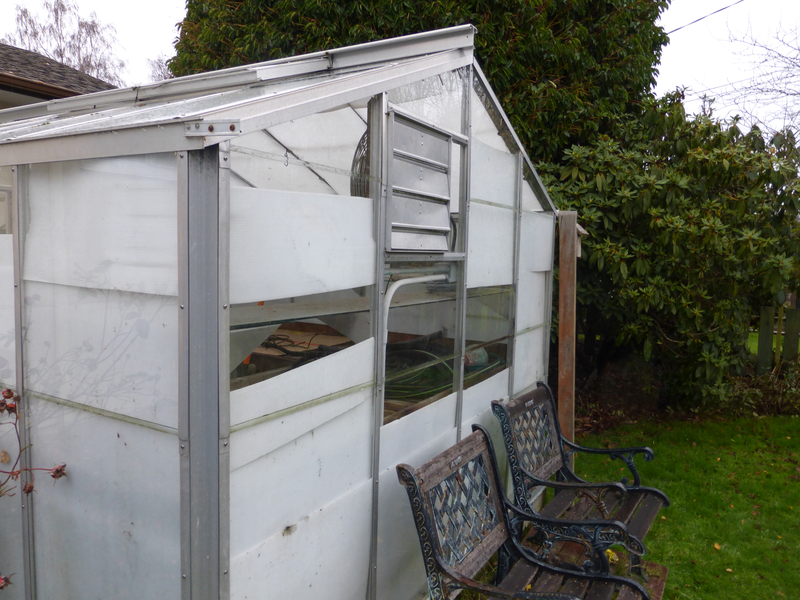 This BC Greenhouse new with the extras, would be about $6000.00. 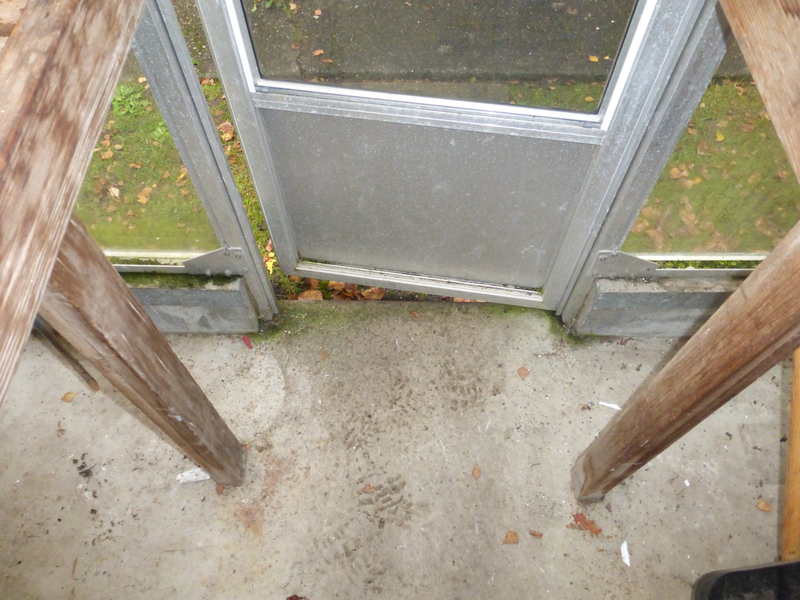 It'll need a bit of cleaning up, and three or four new glass panes, but that is all. Oh and a lot of sweat equity. Here it is during the dismantling. Before, it was lined with white channeled plastic for insulation we assume. Maybe as a sun barrier? 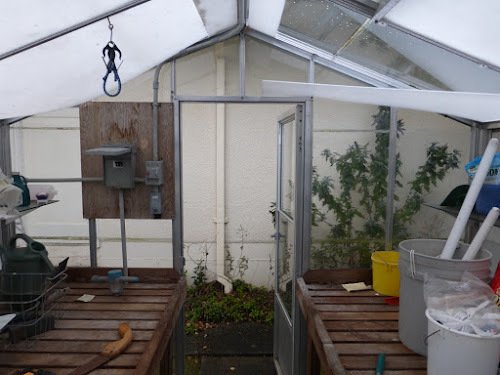 You know that I think there is nothing sadder than a greenhouse not living up to its potential. 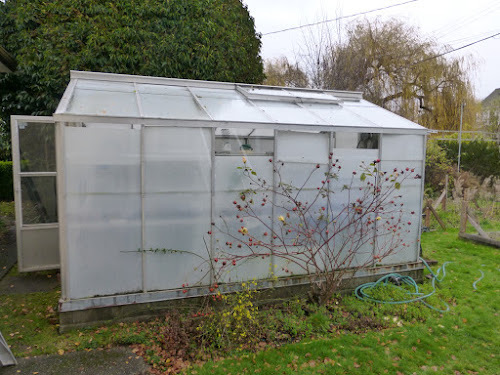 Left empty, sad, or god forbid, used as storage....when all they need is to be emptied out, a good cleaning and filled with potted plants, citrus trees, lettuce and spinach to last all winter. Can't you just feel it breathing a sigh of relief when it was revealed in the last photo. 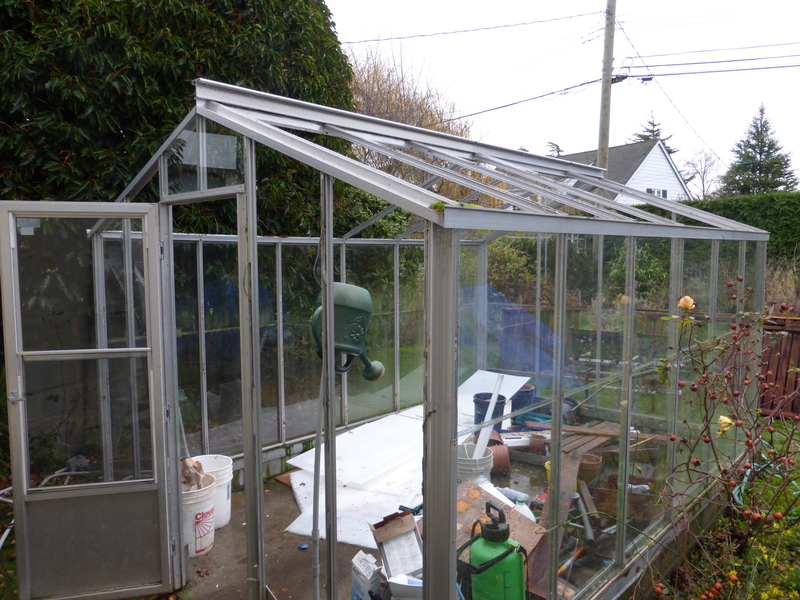 It is now completely apart, stacked away for the winter and will go up in the spring. For next year anyway, I think I will fill it with tomatoes and peppers. I LOVE tomatoes. Welcome to Middlebrook Farm little glass house! Lucky you, acquiring another greenhouse. I can imagine it filled with plants next year.